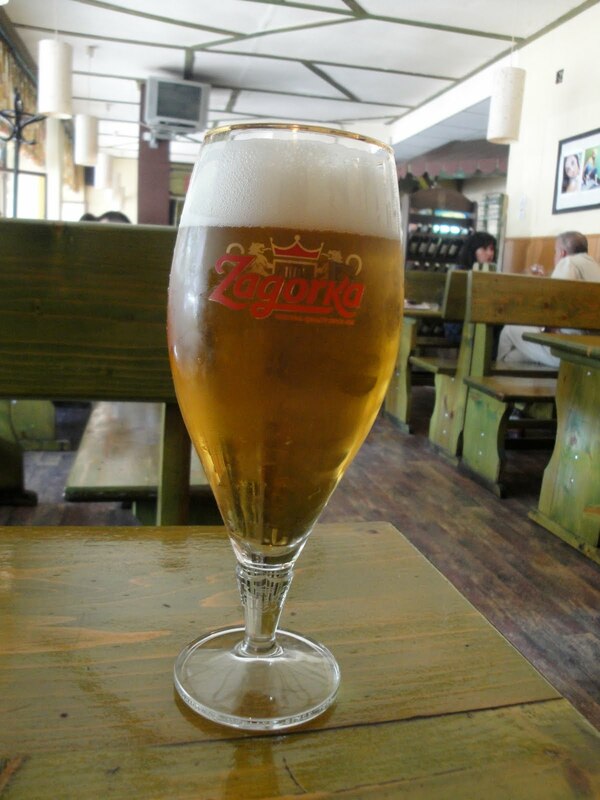 Zagorka is one of the most popular beers in Bulgaria. I had one with lunch and was a little tipsy when I met with my Fulbright coordinator. (I hadn't had any alcohol in about a week, so it was kind of a shock to my system. That and I'm probably still a little bit weird from jet-lag). When I told my coordinator, Rada, that I couldn't remember all of the questions that I wanted to ask thanks to my Zagorka, she laughed and told me Bulgarians don't even consider it alcohol. When a previous teetotaler Fulbright scholar had come and told Bulgarians that he didn't drink, they would give him a beer instead. Classy. Another great reason to be in Eastern Europe. This baby cost about a dollar, and it tastes so much better than a cheap beer in the US. Do not be fooled; it definitely DOES have alcohol in it.